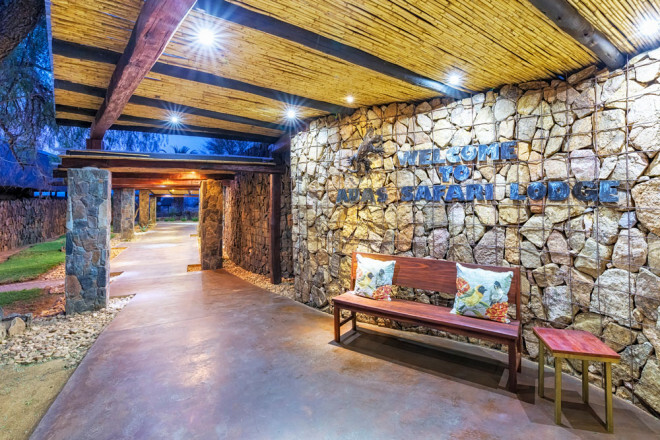 Its close proximity to Hosea Kutako International Airport, makes Auas Safari Lodge the perfect place to stop over after a long flight. 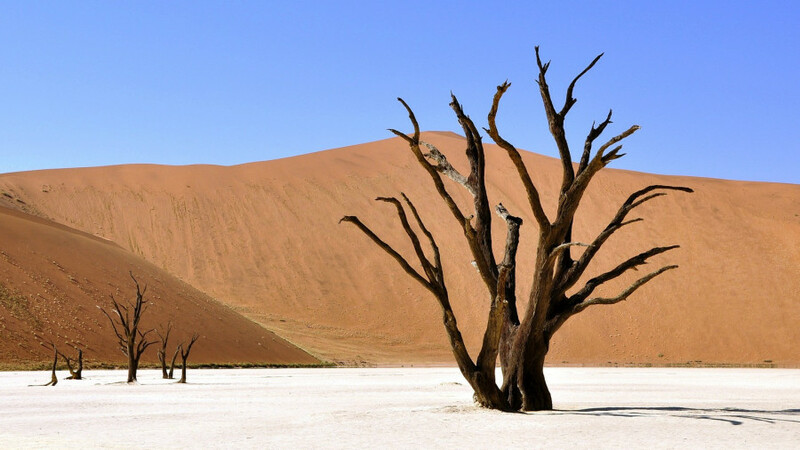 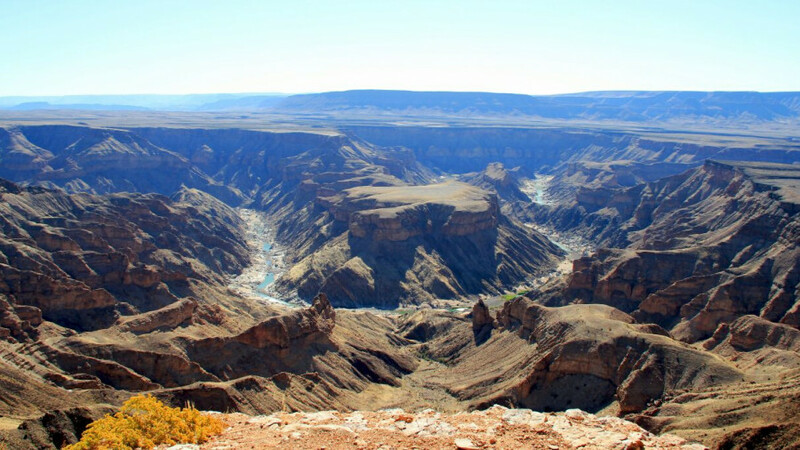 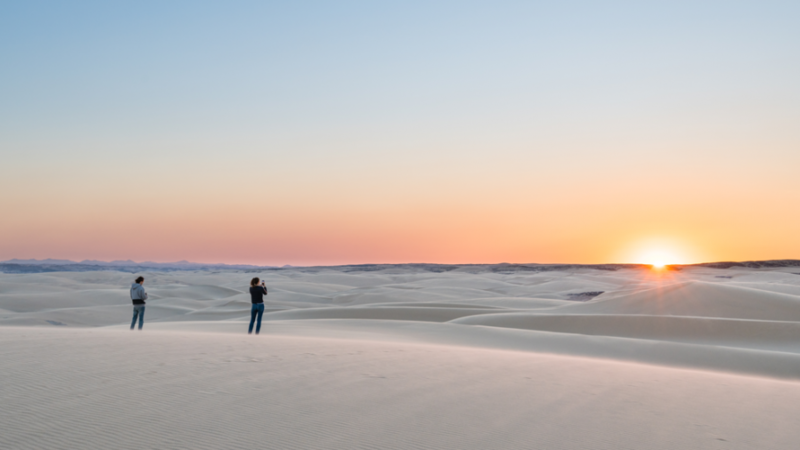 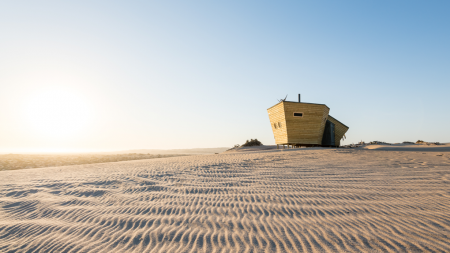 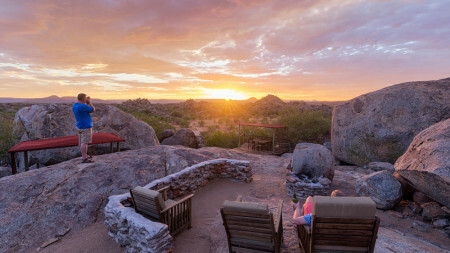 A picturesque drive of less than an hour will bring you to a little piece of paradise in the heart of Namibia. 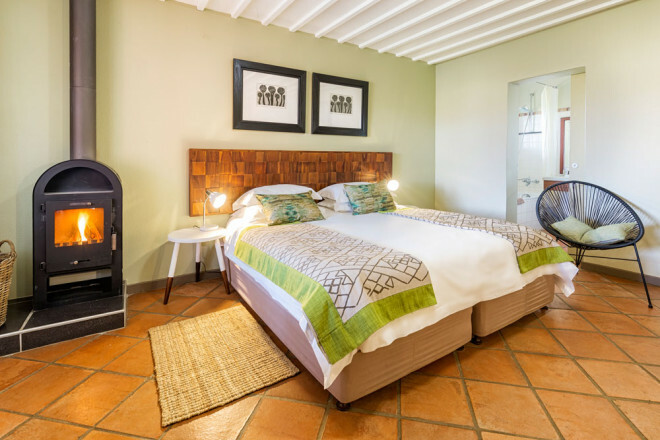 Fourteen well-appointed luxury rooms, complete with en-suite bathrooms and private terraces, offer respite from the hustle of city life. On cold winter nights, a fireplace warms the interior, ensuring a cosy night’s rest. 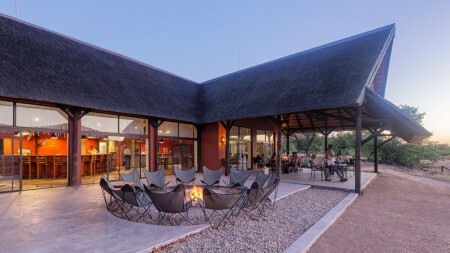 Early evenings can be spent sipping drinks on the large veranda as the sun sets over the African savannah. 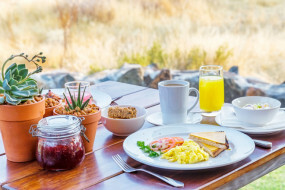 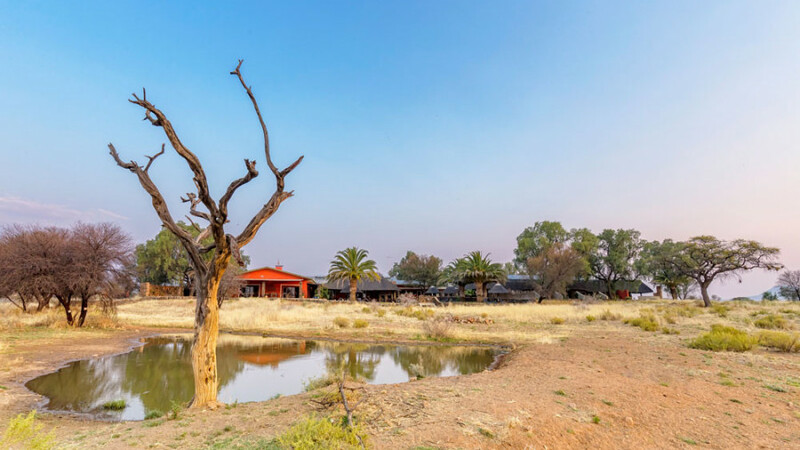 While watching wildlife frequenting the waterhole a mere stone’s throw away, our chefs prepare meals that will take diners on a culinary journey. 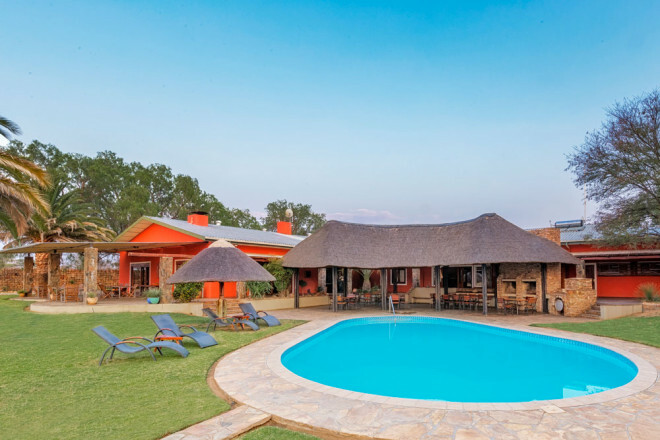 A sparkling pool surrounded by a lush lawn will lure you in on hot days. Comfortable lounge chairs line the area, inviting sunbathers to laze away in the sun. Thatched canopies offer shade during the hottest hours of the day. 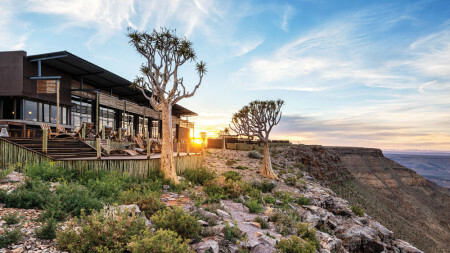 The well-stocked bar area is closeby to quench your thirst with Namibian beer, soft drinks and a wide selection of wines from popular South African estates. 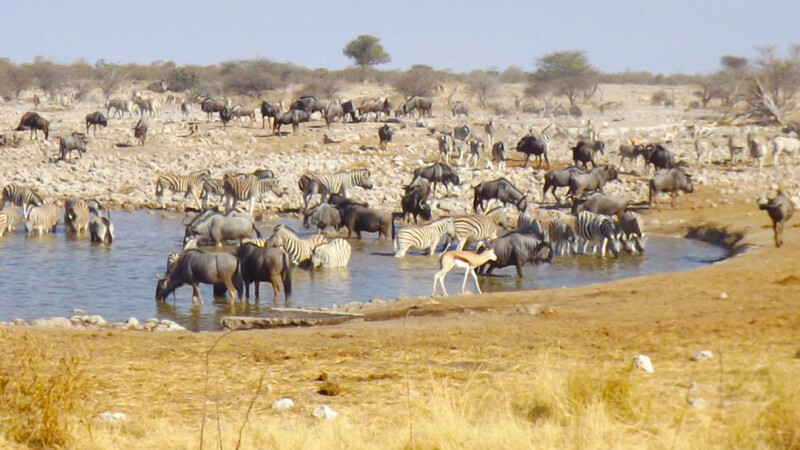 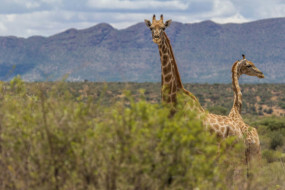 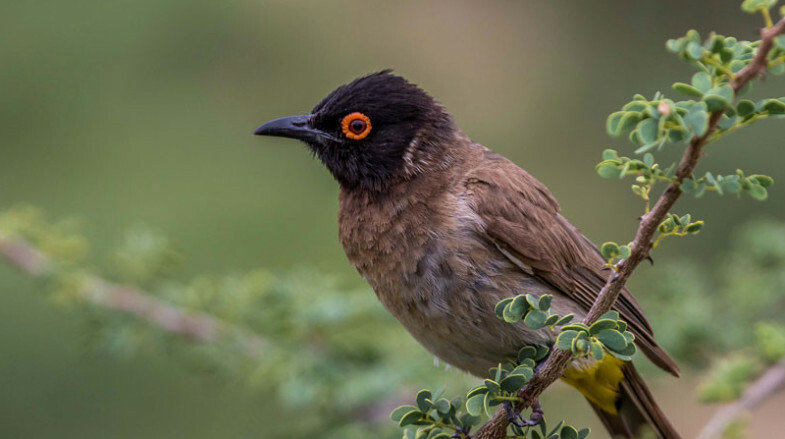 The area is brimming with wildlife and a large variety of species can be observed during game drives or at the waterhole. 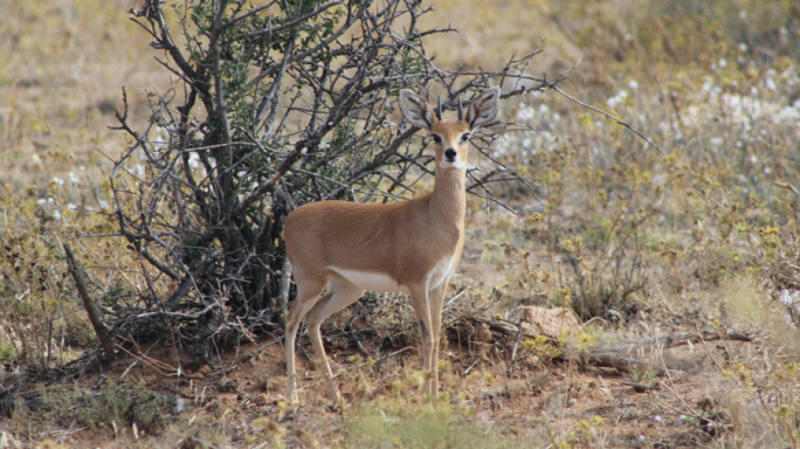 Waterbuck, kudu, impala, eland, zebra, black and blue wildebeest, gemsbok, springbok and many of the smaller antelope species roam the Auas savannah. 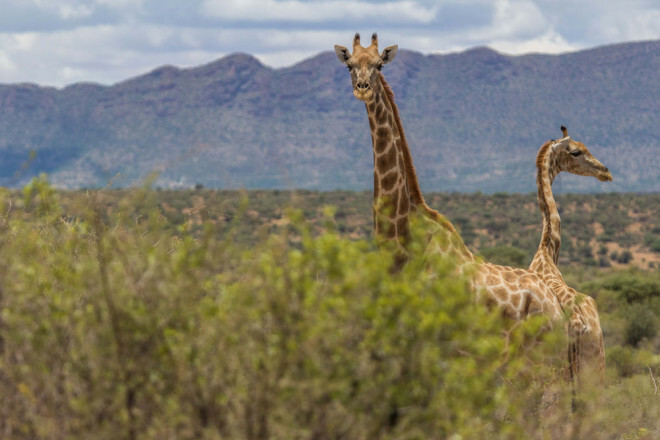 Get up to a higher vantage point and you will see giraffe browsing at treetop level. 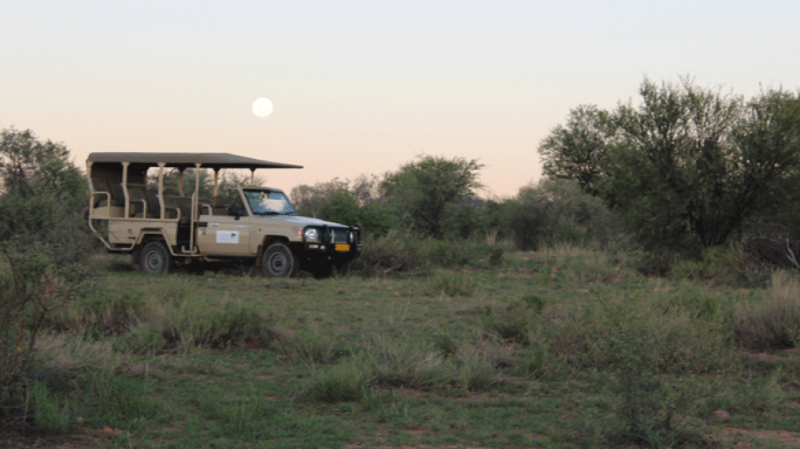 Morning or evening game drives and guided walks offer the best opportunity to encounter the wide variety of animals. 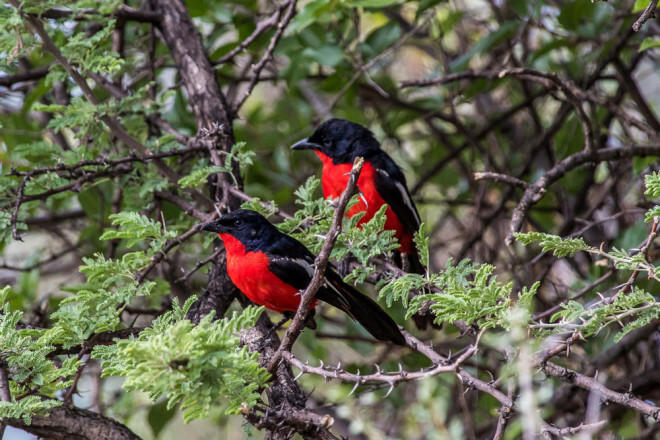 Birdwatching enthusiasts will love the abundant bird species that flit among the trees surrounding the lodge. 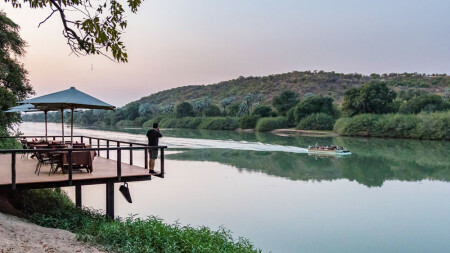 Deeper into the veld, a boma set on the banks of an earth dam is the perfect place for dining al fresco. It has become an increasingly popular venue for weddings and functions due to the spectacular sunsets and feeling of freedom it evokes. 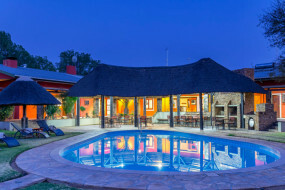 When visiting Auas Safari Lodge, it is hard to believe that Windhoek, the capital city, is just around the corner. 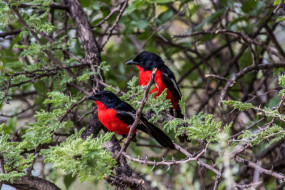 Less than 50 km away, on the other side of the majestic Auas Mountains, Windhoek beckons with all its attractions and cultural diversity. 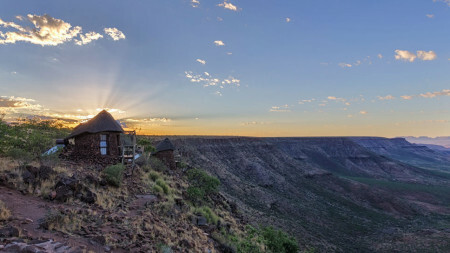 Close enough to warrant a day-trip to visit museums and historical monuments, but far enough to not intrude on the natural solitude of a life lived close to nature. 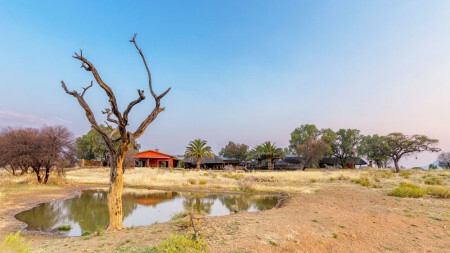 Auas Safari Lodge is the perfect first stop on your journey before continuing to explore the rest of Namibia.